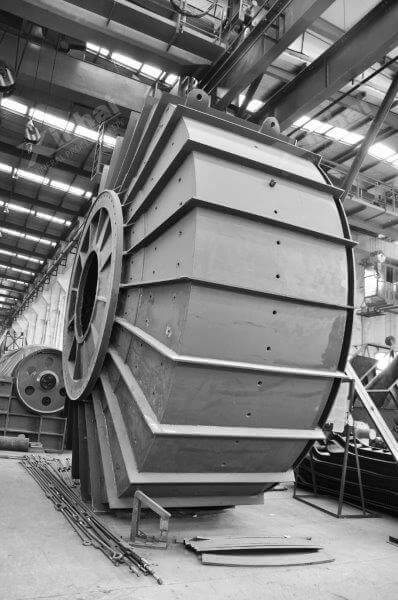 Starting as small as 13 feet (4 m) in diameter on 330 HP and as large as 24′ (14.5 m) in diameter on 3,300 HP, the 911MPE Semi & Fully Autogenous Mills tumble crushed ore without iron or steel grinding media. They are used when the crushed ore pieces are hard enough to perform all the grinding. 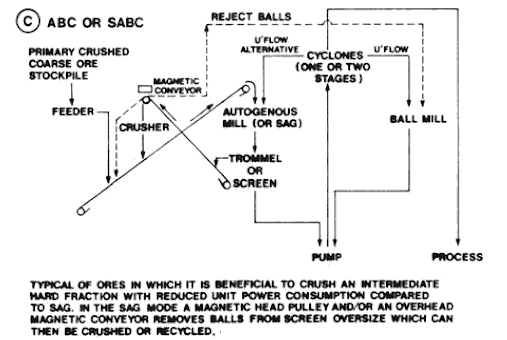 SAG mills tumble mainly ore but they use up to 15% volume of steel balls to assist grinding. Semi-autogenous mills are more common. 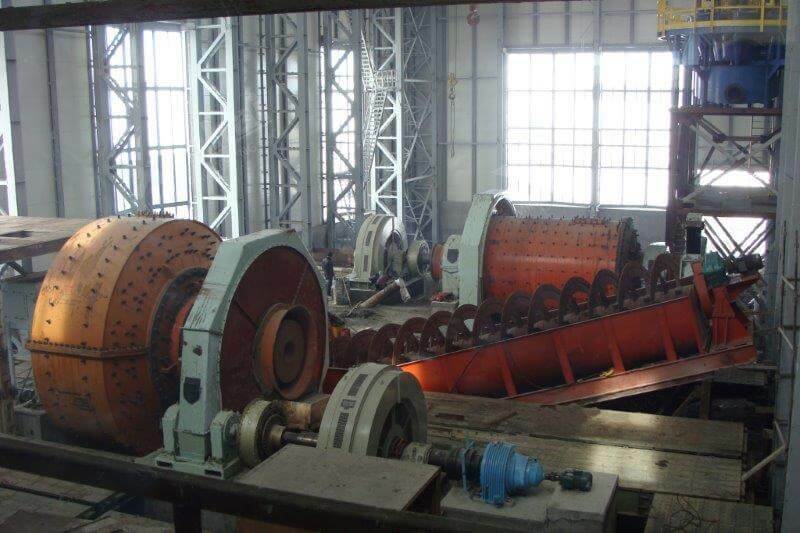 The AG Mill or SAG grinds primary crusher product and prepares it for final grinding in a ball mill. 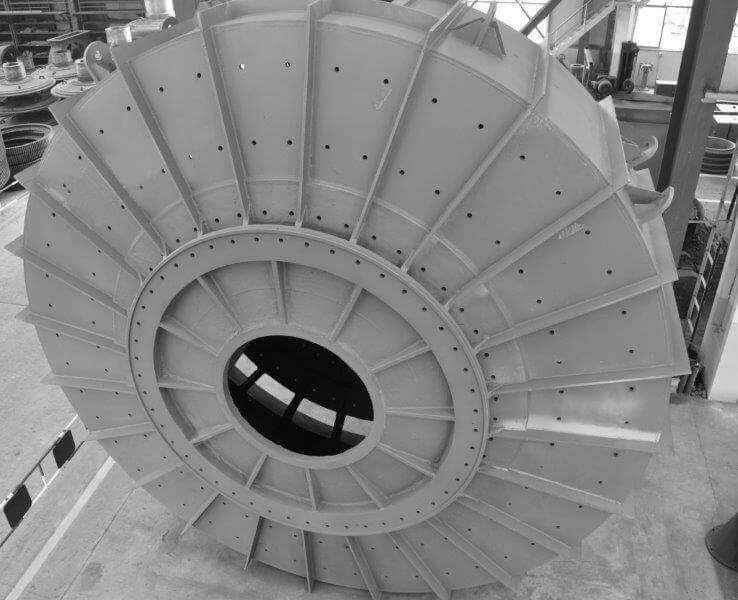 Its product is usually passed over a large vibrating screen to separate oversize ‘pebbles’ from correct-size particles. 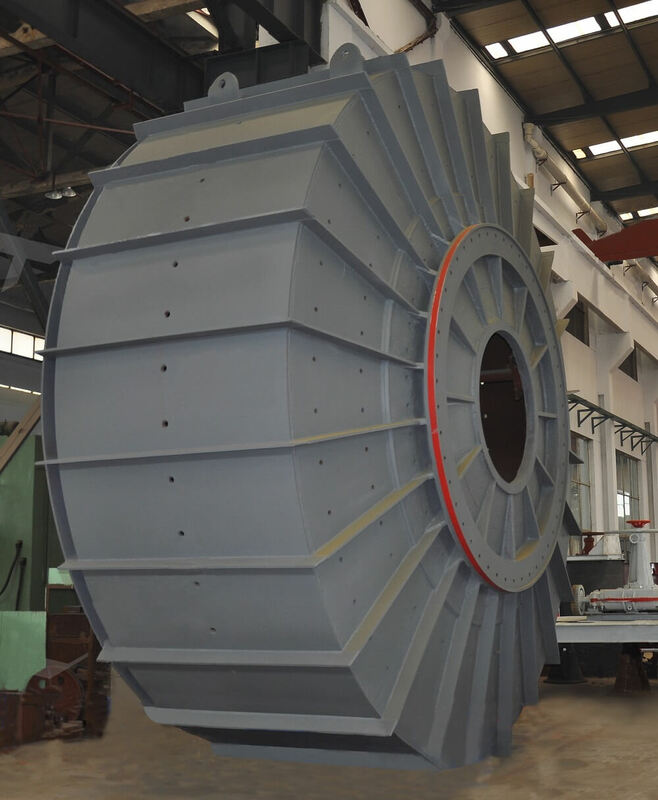 The correct-size material is sent forward to a ball mill for final grinding. The oversize pebbles are recycled through a small eccentric crusher, then back to the SAG or autogenous grinding mill. This procedure maximizes ore throughput and minimizes electrical energy consumption. 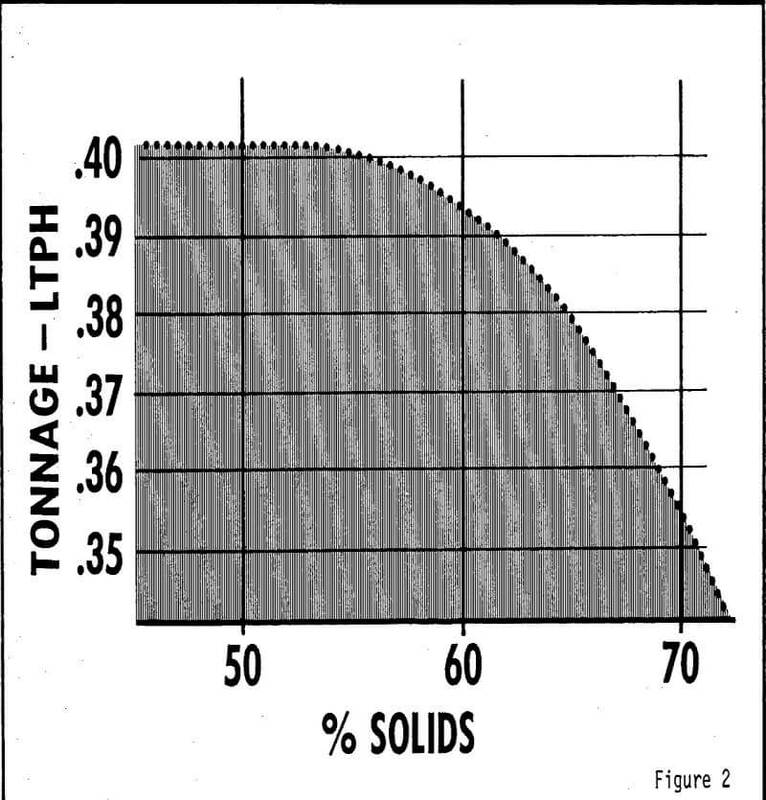 Assuming your ore is AG-amenable: 7 TPH to 15 TPH is a comfortably production average for a 13′ x 4.5′ AG Mill. In Single Stage SAG duty, the approximate capacity reduces to only 8 to 13 TPH for gold ore duty. 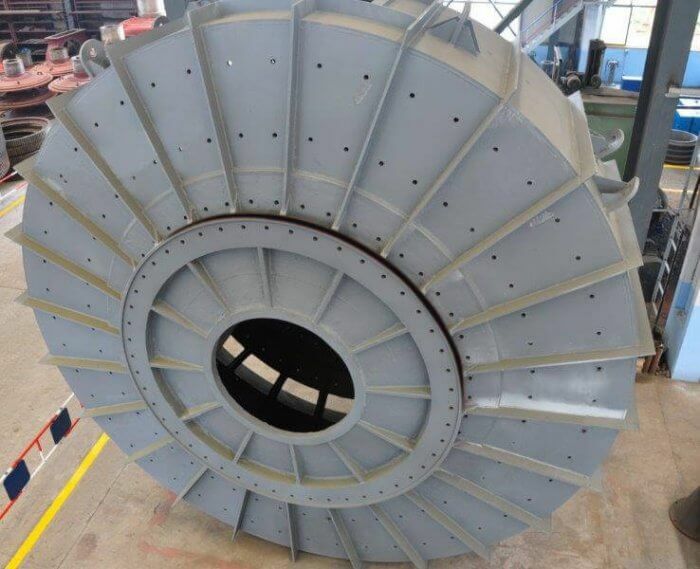 The autogenous mill itself is a coarse-grinding device, consisting of tumbling drum with a 25% to 40% volume filling of ore. Metallic or manufactured grinding media is not used. 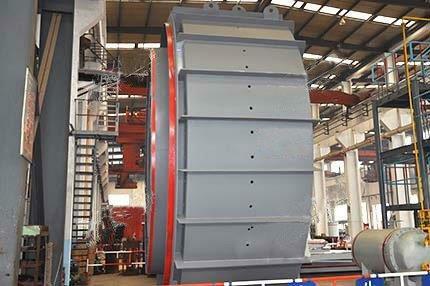 Autogenous mills are fed run-of-mine ore or primary crusher product that is <25 cm (10″). Inside the mill, large pieces break into smaller pieces a few inches in size. These natural pebbles act as the grinding media the autogenous mill. The main modes of breakage are thought to be impact breakage and abrasion. Many circuit configurations are possible, but essentially the autogenous or SAG mill is operated as a single-stage primary mill, or it can be followed by secondary pebble or ball milling. The semi & autogenous mill is often operated in closed circuit with a trommel screen or external vibrating screen classifying the discharge. Circulating loads are low compared with those in ball mill circuits, because autogenous mills do not benefit from high-circulating loads in the same way ball mills do. Intermediate crushers are sometimes used to crush the largest pieces in the recycle stream. The product size of an AG/SAG mill depends strongly on the nature of the ore being ground so that tests must determine the competency of the ore and its “natural” particle size. Autogenous grinding implies by definition the grinding of ore by itself. 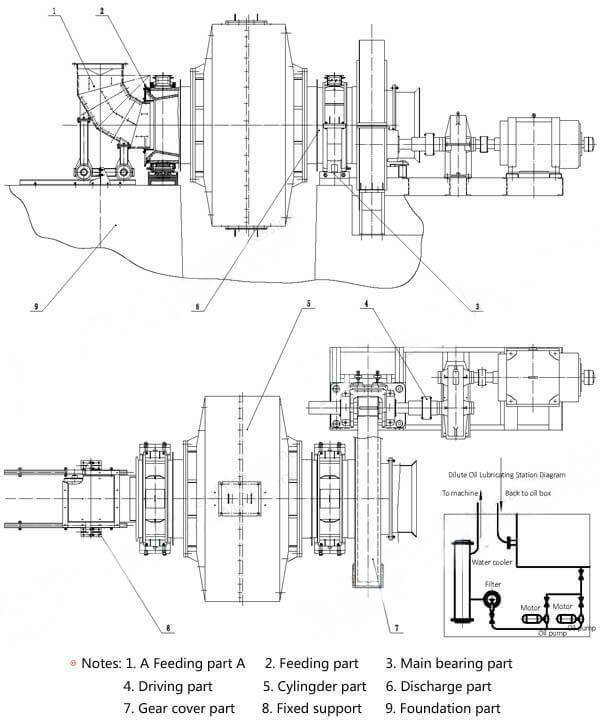 Autogenous mills can be operated in tandem with secondary grinding mills (either a ball or a pebble mill) or they can be operated as single-stage mills in closed-circuit with a classification or sizing device. 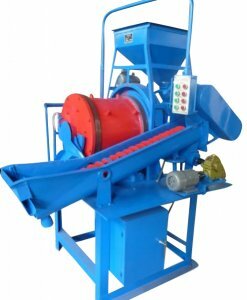 If a critical size builds up in the charge of the autogenous mill, it is usually extracted through pebble ports and crushed for recycle. Autogenous mills rely upon attrition grinding for their operation. 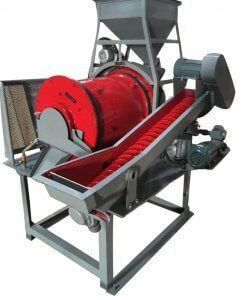 Disintegration and size reduction of some ores is possible in tumbling mills without the aid of grinding media. 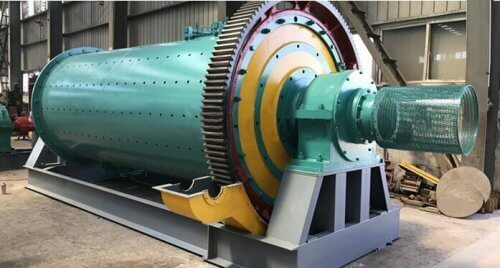 Grinding mills in which comminution takes place without grinding aids are known as Autogenous Grinding (AG) mills or Fully Autogenous Grinding mills (FAG). These mills use large lumps of rock as the grinding media. Mills that use intermediate size rock or pebbles as a grinding medium are also autogenous mills but are known as pebble mills. 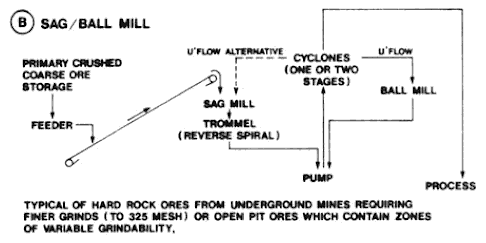 The disintegration and size reduction of ores in AG mills is brought about by a combination of impact, attrition and abrasion forces during mill rotation. 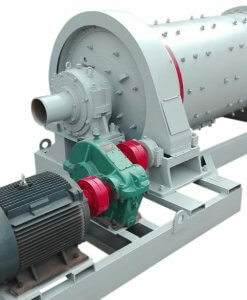 Particles at the toe of the mill charge receive the maximum impact forces from falling rocks and other grinding media. Particles in the body of the mill charge partly slide from different heights and are subjected to attrition and abrasion resulting in size reduction. 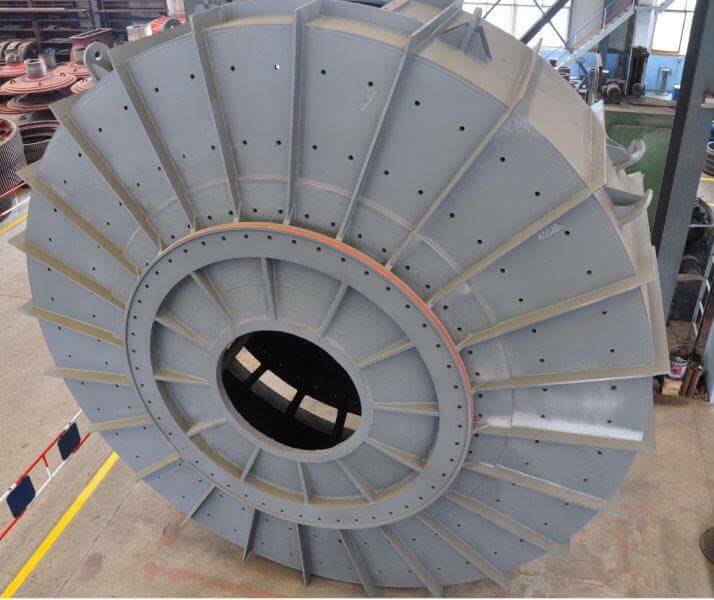 The operation of AG & SAG mills therefore involves the use of cheaper grinding media as a replacement for expensive steel balls and rods which greatly affect the wear on liners. They are therefore less expensive to operate. It is necessary that the ore should provide a sufficient amount of lumps that would last for a reasonable time to act as the grinding medium. Such ores have been described as competent ores. Ores that break up easily arc referred to as either non-competent or incompetent ore. SAG Mill grinding relies on the addition of balls to the primary mill which are required to break up harder and coarser pieces and also to grind mid-size and and particles. It is used to grind ores which require fracturing across grain or crystalline boundaries in addition to attrition grinding. 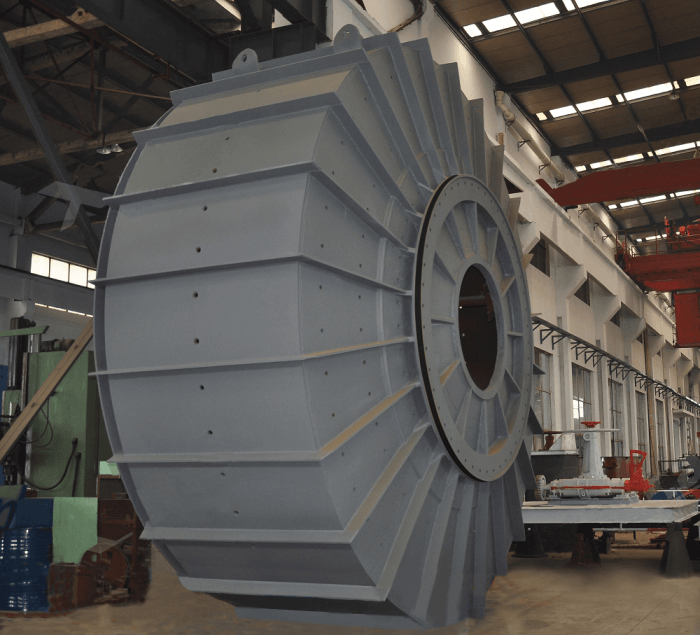 Again, circuits can be designed for either single or two-stage operation and occasionally a crusher might be added to deal with a buildup of particularly hard critical size material. 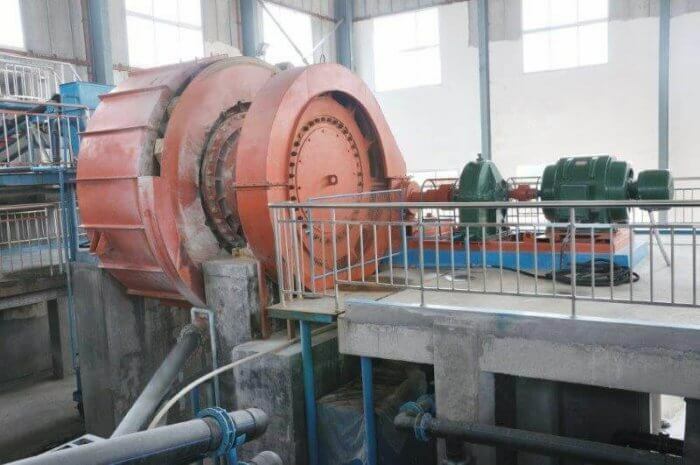 For clayey ores, SAG grinding is preferable to FAG autogenous, especially if there is insufficient competent grinding media for operation of the latter. The feed to an autogenous or semi-autogenous mill is usually primary crushed. 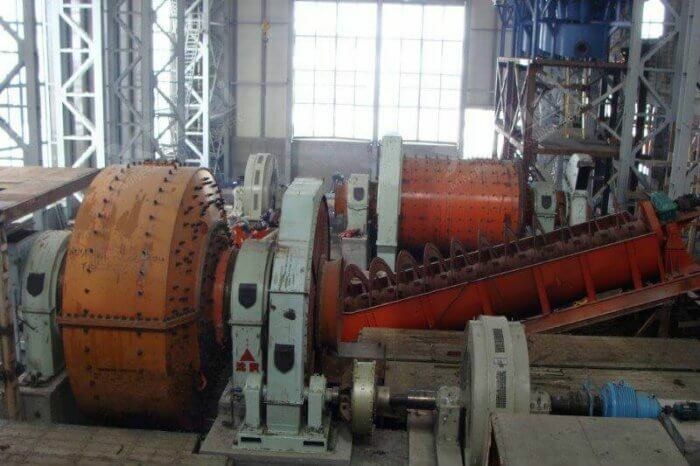 When considering the necessity to crush run-of-nine ore, the expected behaviour of the primary mill towards a coarser feed and the maximum lump size which is physically acceptable to the mill relative to that originating in run-of-mine ore have to be investigated. Autogenous grinding work is conducted in a separate pilot setup. The crude ore is crushed to a maximum size of 9 in. and screened into 3 sizes. The primary mill is 5-½ ft. in diameter. The length can be varied from 2 ft. to 5 ft. in 4 and/or 11 in. increments. 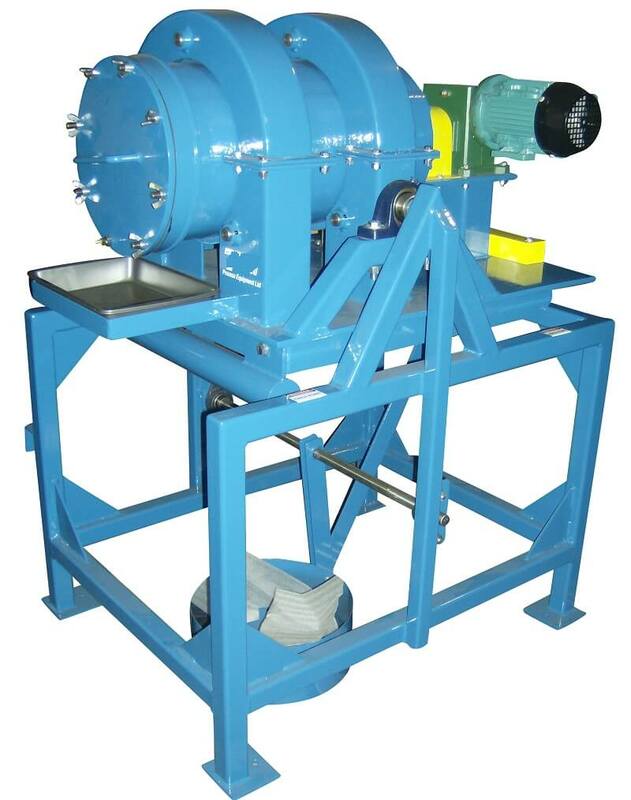 The secondary grinding circuit uses a 3 ft. diameter by 5 ft. long pebble or ball mill. Three hydroseparators ranging from 2 to 6 ft. in diameter and a 5 ft. thickener are used as required in the circuit. There are 3 types of filters and a variety of pumps, cyclones, screens, magnetic separators and the other auxiliary equipment required to complete the concentrating and material handling aspects of the pilot plant. 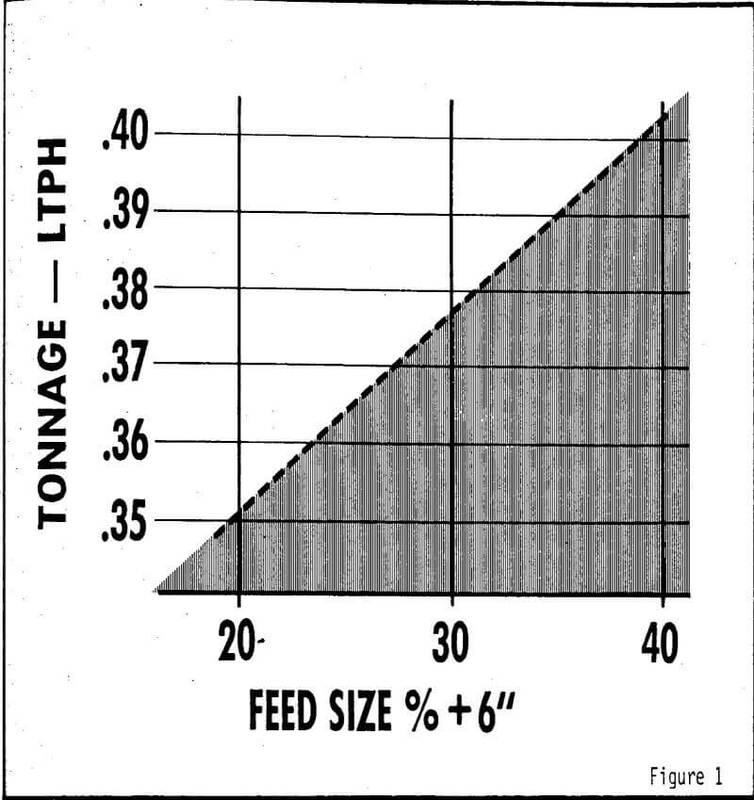 The pover draw of an autogenous mill is directly proportional to the charge volume, which, in turn, is maintained by feed rate. This investigation showed no significant difference in the grinding power requirement, or the metallurgy of the product, with changes in volume. However, if an autogenous mill level is too high, centrifuging will begin. This was observed to begin around the 40% level while operating at 76% of critical speed. P. M. & Co. commercial installations are designed to draw full power at 30% mill volume. The commercial autogenous mills are controlled by setting power draw and automatically regulating feed rate to maintain this set point. Therefore, it is impossible for the mills to centrifuge, or shutdown because of motor overload. 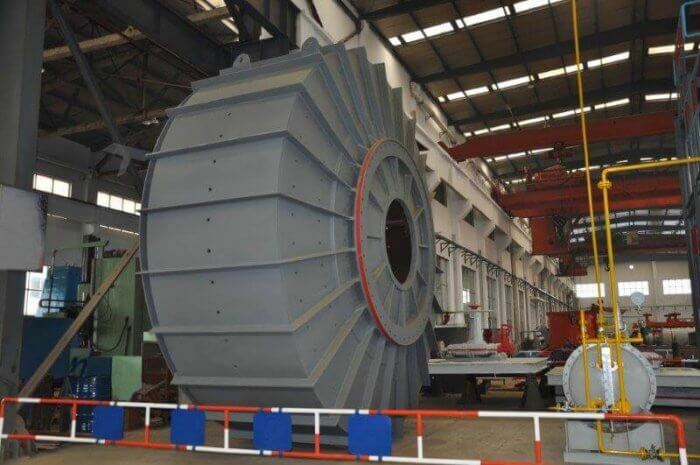 The effect of percent solids in the autogenous mill was tested. With a trunnion discharge mill, varying the % solids showed no change in either mill throughput or power requirement. A peripheral discharge mill produced a coarser grind with a corresponding increase in throughput at lower % solids. This is probably caused by faster transport through the mill giving a product sized closer to the mill discharge screen opening. The choice of mill solids must be made for metallurgical and economic reasons and the optimum would vary with ore type and desired grind. The effect of a ball charge, equal to 2% of the autogenous mill volume, was a coarser grind in open circuit. This transfers some of the grinding from the lower operating cost autogenous mills to the higher cost ball mills, which is usually not economical. 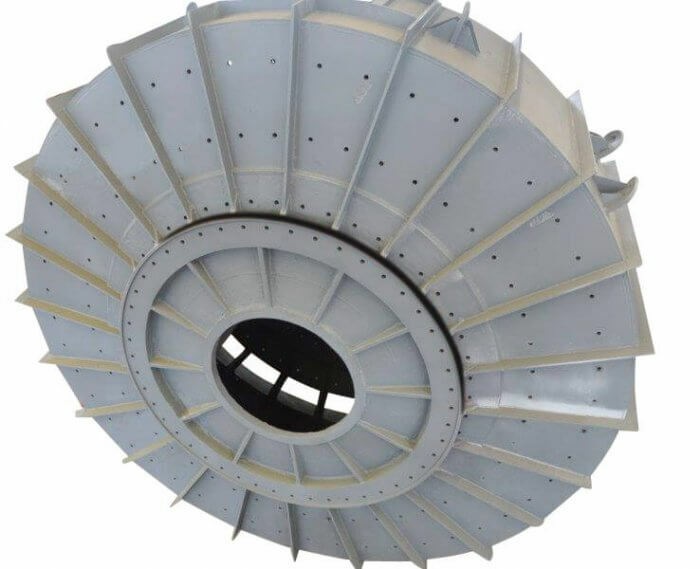 The use of balls in the primary mill is also more expensive because of increased liner wear and the cost of the steel media itself. 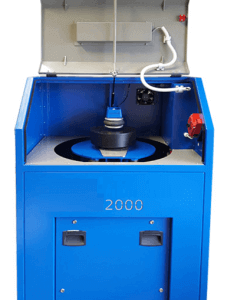 The single most important element in pilot plant testing is the accurate determination of the power. The power readings are a combination of grinding power and electrical-mechanical inefficiencies. To obtain the net grinding power, a dynamometer, or Prony brake test, was conducted on the pilot autogenous mill both empty and filled with crushed gravel. The brake was attached to the feed end of the mill and by varying the pressure to the drum, the mill motor could be varied from no load to maximum draw. The reason for completely filling the mill with crushed rock was to duplicate the weight of the grinding charge, including water, at 30% mill volume without adding torque. Therefore, the mechanical and electrical inefficiencies are the same as when the mill is grinding ore. With this method, net grinding power is determined. The horsepower requirement of a commercial size mill is calculated by adding the inefficiencies of its power train to this net figure. The economic advantages of the primary autogenous mill over the conventional rod mill are due to the following factors: (1) autogenous mill feed requires less crushing; therefore, the capital and operating costs of the ore preparation are lower; (2) the autogenous mill uses no steel grinding media so liner wear costs are less; (3) large autogenous mills are available, which means fewer units are required and grinding mill maintenance expense is reduced. The metallurgical advantages of autogenous milling are: (1) liberation at a coarser grind due to less cross grain breakage. This produces equivalent concentrate grade at a coarser size. Also the product is easier to dewater and pelletlze. (2) A primary autogenous mill can be designed and controlled to produce grinds over a wide range while still maintaining high efficiency. This is not practical in a rod mill.